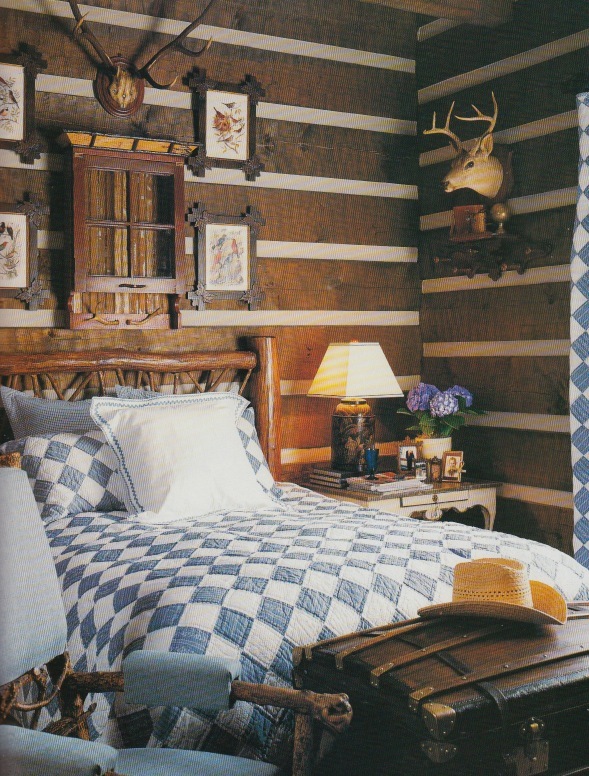 I've loved this cabin since I first saw pictures of it in Veranda Magazine back in 2001. Looking at it again in 2017, I find the design still holds up very well and it is just as charming today as it was back then. Exterior view of the Ainsworth Noah cabin. 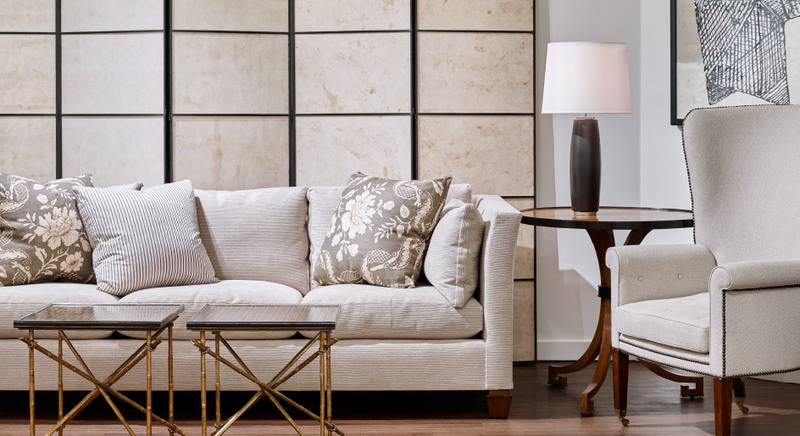 Ainsworth Noah is a beautiful designer showroom at the Atlanta Design Center that was founded by two partners, Hal Ainsworth and Winton Noah. 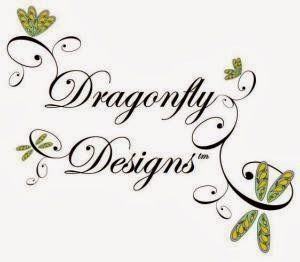 Their gorgeous showroom carries many of the most beautiful designer lines available. 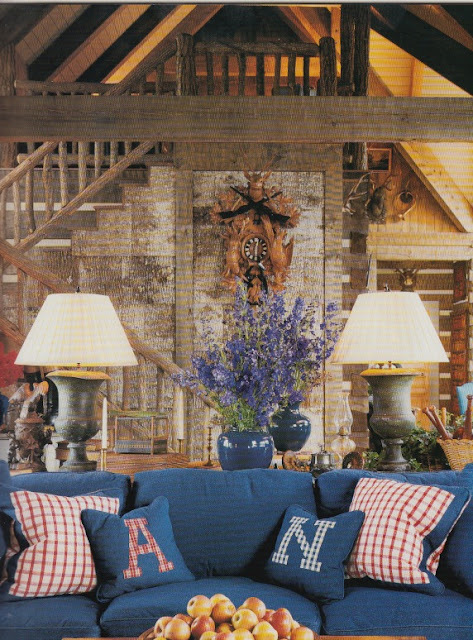 In addition to the showroom, Ainsworth and Noah live in a condo in Atlanta, an apartment in Paris and spend weekends in the mountain town of Cashiers, North Carolina. Some of you may recognize that Cashiers has been mentioned pveriously in other postings. Quite a number of well known decorators, such as Charles Faudree and Toby West, also enjoy(ed) weekend retreats there and, in some cases, worked on client projects in the area. Cashiers has been a haven for good taste and innovative cabin design. Because of their ties to the design industry, Ainsworth and Noah have access to some of the most beautiful furnishings available. A number of the pieces in their cabin are from the lines they carried at the time. 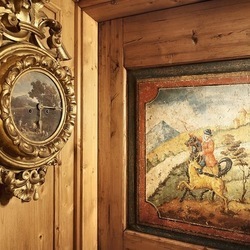 However, the mix is everything in designing a good interior and these furnishings are mixed together with American and European antiques, a spectacular Black Forest collection and lots of Americana collections and references. 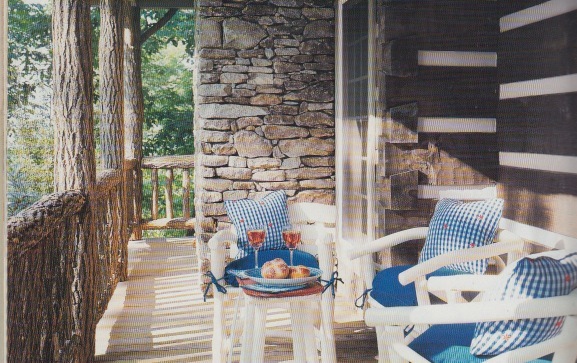 White painted hickory pieces on the front porch. 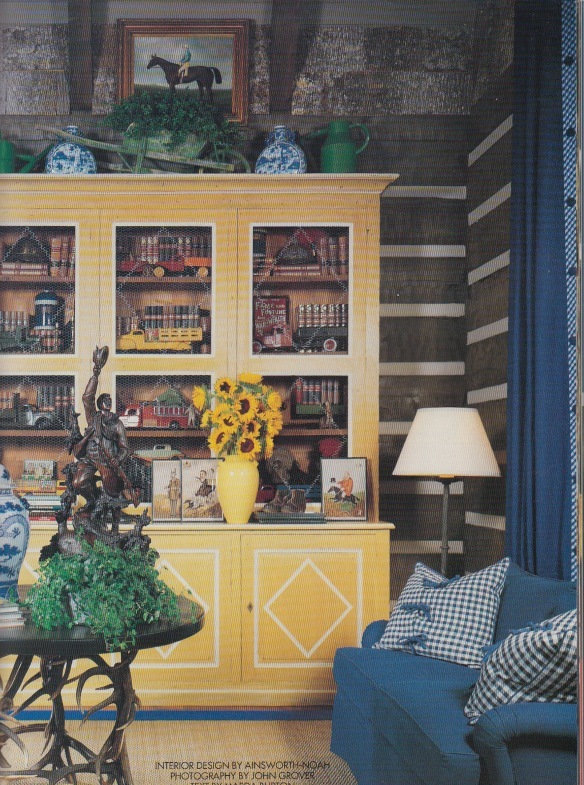 A primary color scheme of blue, yellow and red pervades in the great room. 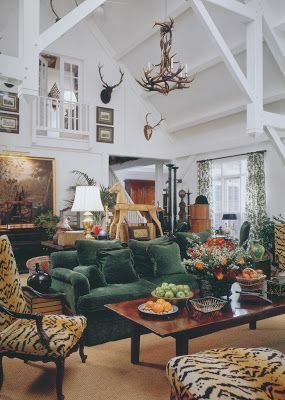 Here you also see the mix of beautiful furnishings and Americana collectibles as well as European and Adirondack antiques, like the stag antler table and on top, an unusual Black Forest carved hunter climbing over a fence. 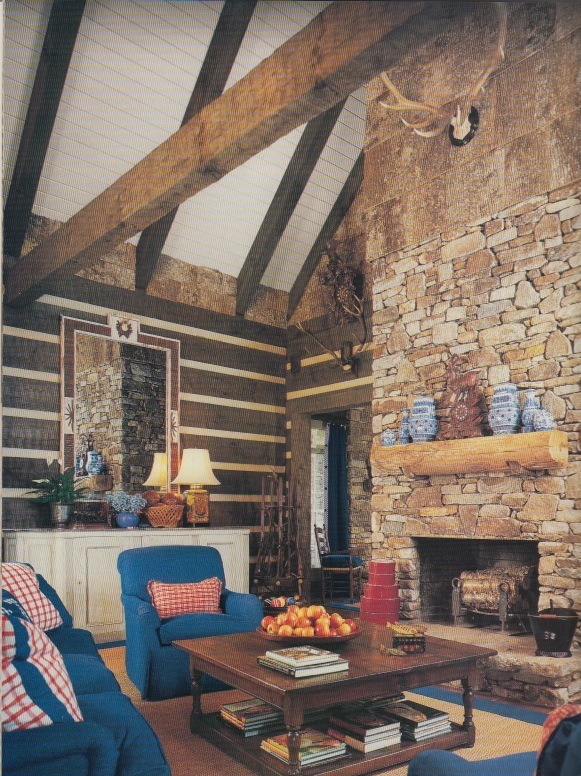 Denim and homespun checks and ginghams are used extensively in the great room. 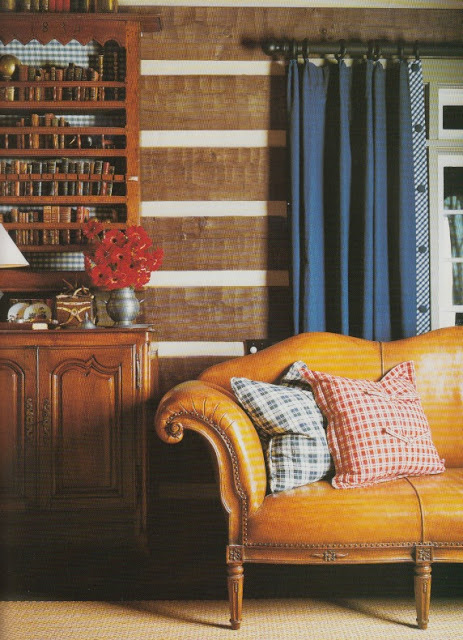 These simple rustic fabrics provide an interesting contrast to the French antique furnishings and European mountain antiques. A modern coffee table with traditional lines juxtaposes with an old white cabinet on the wall behind which has been hung an Adirondack stick-style mirror. On the chunky log mantle, a blue and white collection with a Black Forest clock. A casual, comfy denim sofa surrounded by beautiful Black Forest and pewter pieces. I still love the urn lamps, but in 2001, these would have been at the height of chic. 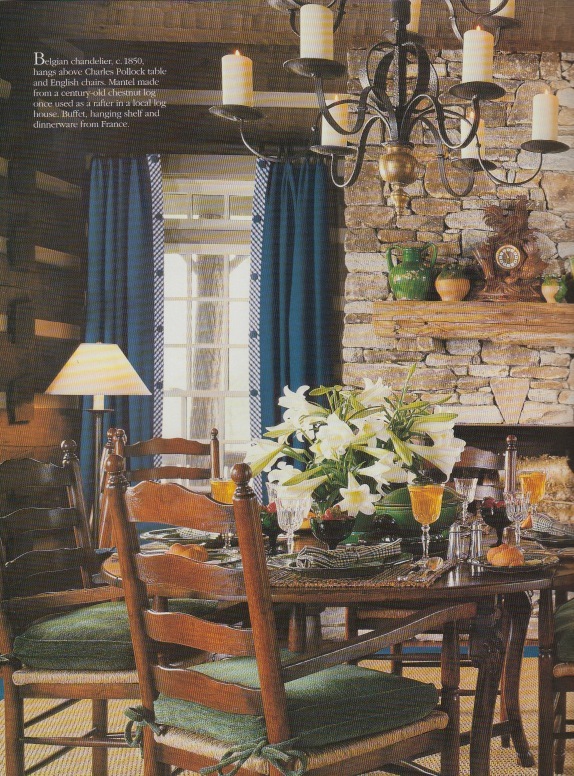 Again, black forest on the mantle with French antique pottery. 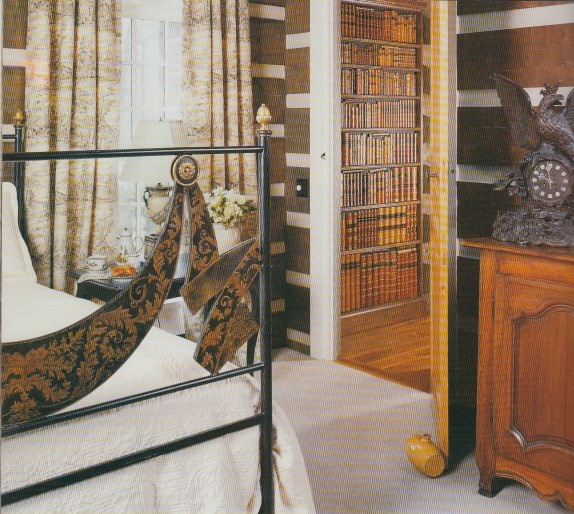 More French furnishings and some beautiful old leather books. Leather volumes are seen throughout the interiors. 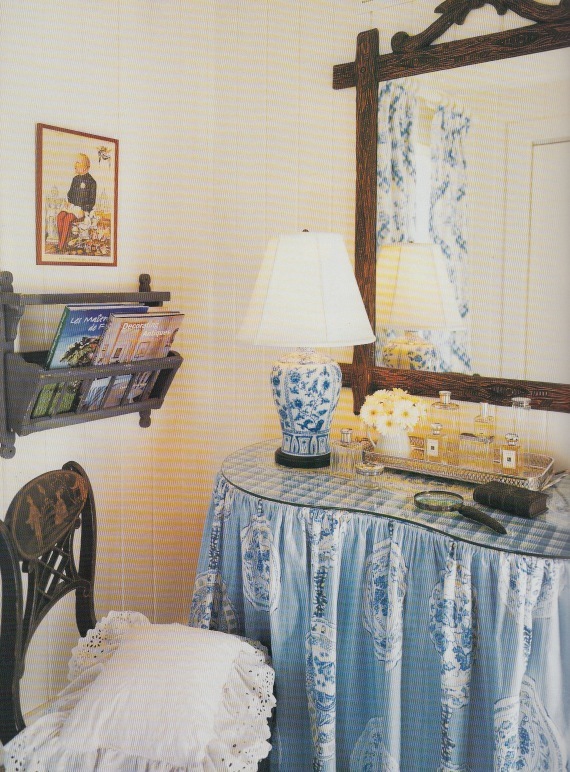 A pretty blue and white vanity with a wonderful black forest carved mirror above. 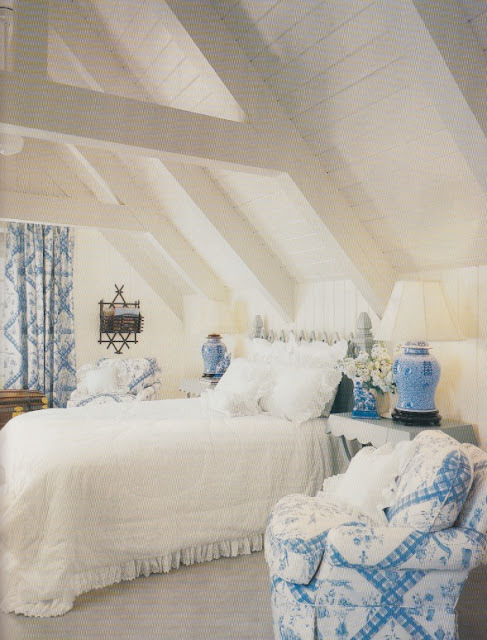 A very pretty blue and white bedroom. Here the tongue and groove walls have been painted white. 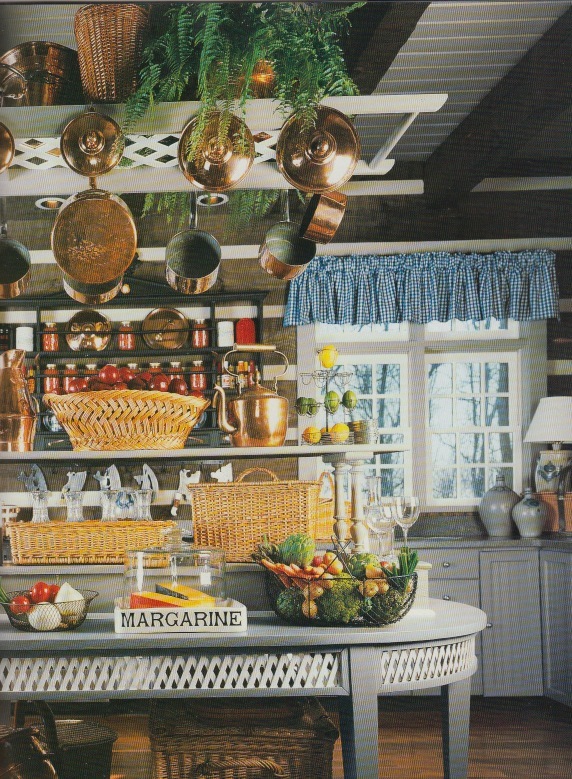 How charming is this kitchen? It looks like a showroom display, everything is so carefully placed. 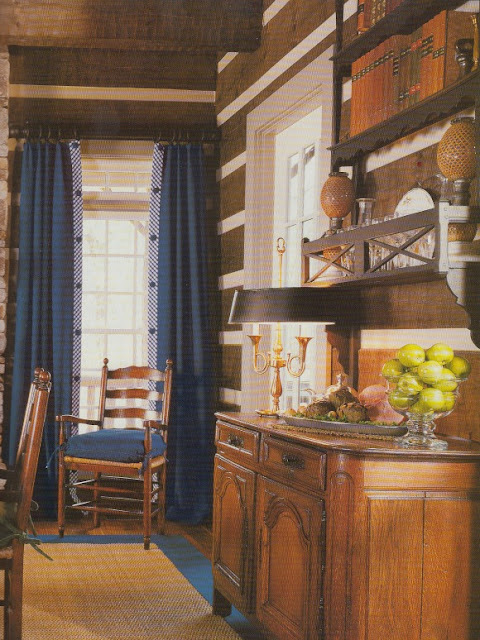 Antique baskets and copper, salt-glazed jugs, muted grey and white paint tones on the cabinetry and furnishings and again the simple and cheerful use of blue and white homespun on the window. 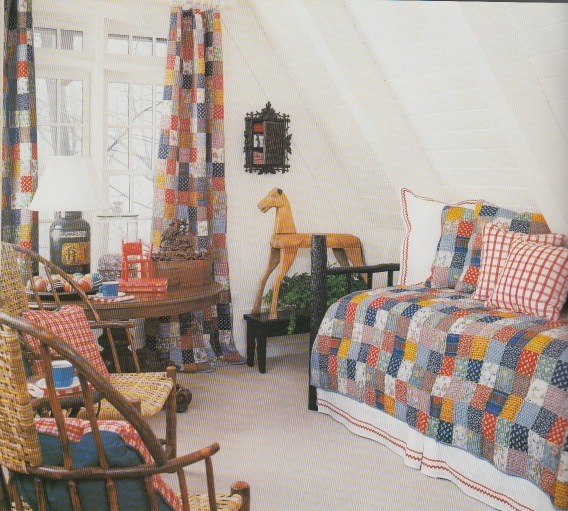 Americana quilts, antique furnishings and Black Forest and Andirondack pieces on the wall above the bed. A guest bedroom with hickory furnishings and folk art collectibles. 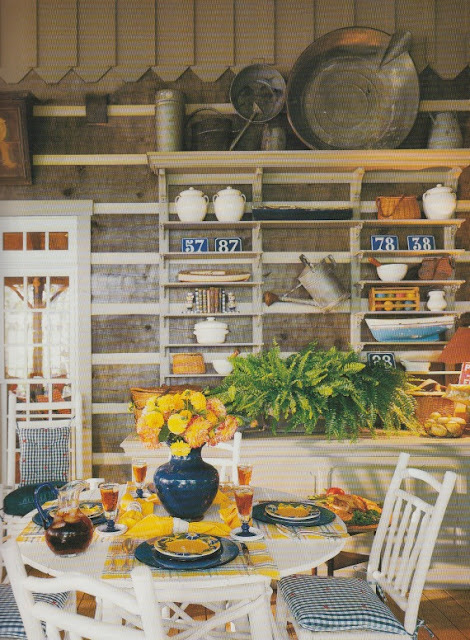 More painted white hickory furnishings on the back porch. Again, the focus is on the primarily blue and yellow color-scheme. 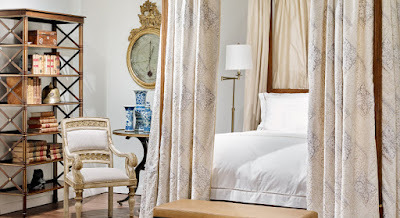 This kind of discipline throughout the house allows the beautiful antiques and collections to shine. 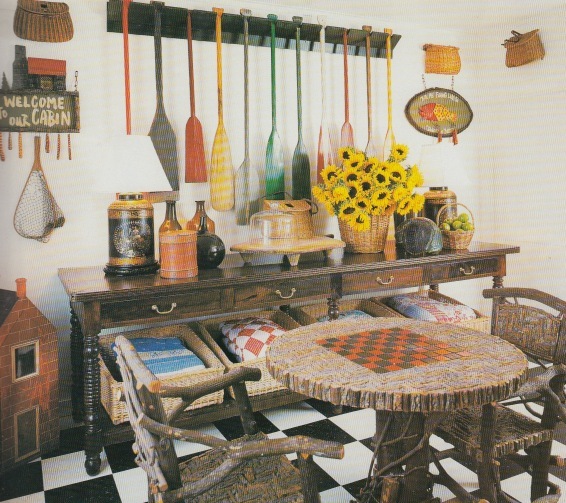 I just love this whole grouping of colorful Adirondack pieces on the black and white linoleum floor. It is so quintessentially "camp-style" and yet every object is so perfectly placed, a skill Ainsworth and Noah have successfully honed in their everyday work world. 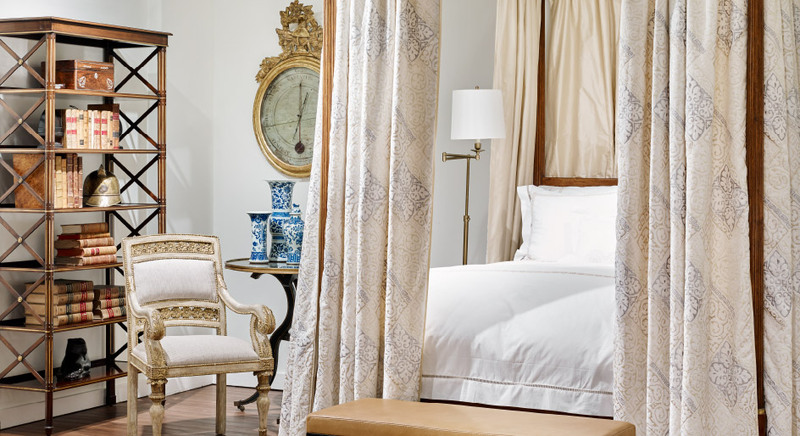 A beautiful designer bed and pretty toile curtains in this more formal bedroom. In the photo below from 2012 you see that the great room had been white washed and given a decidedly more luxe update. Which version do you prefer? 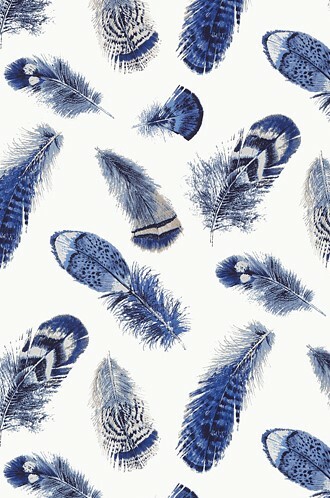 I like these bed linen very much. If you have a green Jangal design Bed Linens please share to me.